Football’s biggest night is just around the corner, and there is nowhere better to watch the game than the Rocky Top Sports World Super Bowl Party in Gatlinburg! Read on for everything you need to know about the festivities at our Smoky Mountain sports complex. Super Bowl XLIX kicks off on Sunday, February 1st between the New England Patriots and the Seattle Seahawks. Although the game officially begins at 6:30 p.m., guests can arrive at Rocky Top Sports World early to participate in the pre-game activities beginning at 4:30 p.m.! The party will run until 11:00 p.m.
Rocky Top Sports World is located at 1870 Sports World Boulevard in Gatlinburg, Tennessee. We are conveniently situated just 4 miles from downtown and close to all of the best places to stay in Gatlinburg. For guests who are having difficulty registering our address in a GPS system, please use our alternate address of 150 Proffitt Road, Gatlinburg, TN 37738. General Admission to the Rocky Top Sports World Super Bowl Party in Gatlinburg is just $15 for adults and $8 for children when purchased online. Otherwise, tickets at the door are $18 for adults and $12 for children. Follow the link to register in advance for the Super Bowl Party. The Rocky Top Sports World Super Bowl Party includes all types of fun activities for the entire family! Guests can get in the Super Bowl spirit with pre-game punt, pass, and kick contests hosted by the East Tennessee Pirates minor league football team. We will also have a bounce house play area for the kids, a trivia room, and open gym for volleyball, basketball, and dodgeball. Of course, the highlight of the evening is watching the big game on large screen televisions located throughout Rocky Top Sports World! Food will be sold at Champs Grill throughout the night, and special “I Survived the Super Bowl at the Rock” t-shirts will be available as well. For only $30 per person, VIP guests can enjoy all of the general admission amenities as well as an unlimited buffet. One of the most enjoyable parts of any Super Bowl party is all the great food, so take advantage of this unique opportunity to eat to your heart’s content while watching the big game! To sign up, visit our VIP Super Bowl Party Registration page. If you are bringing a large group to the Super Bowl party at Rocky Top Sports World, book one of our special party rooms! A skybox is available for $600, which can accommodate up to 15 people, or book a press box for $900 that can accommodate up to 25 people. These party rooms include all of the general admission amenities, as well as a t-shirt for each guest, a special order menu, a personal room attendant, and unlimited Pepsi products. 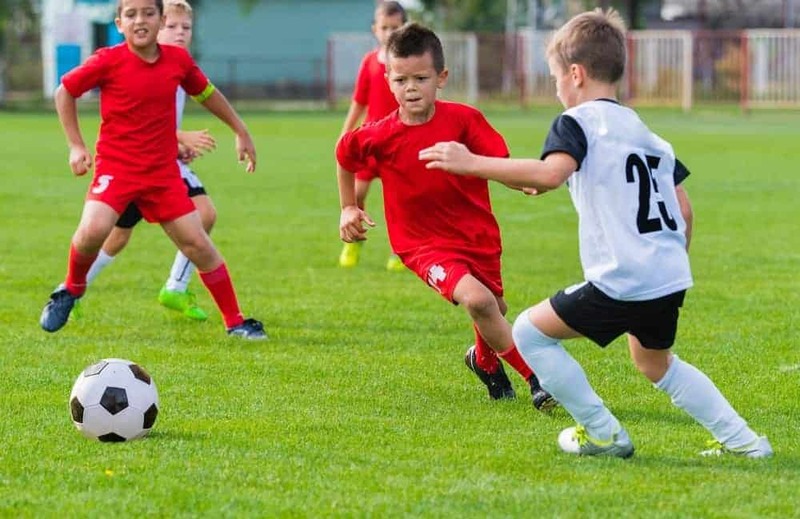 In addition to our Super Bowl party, Rocky Top Sports World hosts a wide variety of exciting special events, tournaments, and sports camps throughout the year. For our full schedule of everything going on in 2015, please visit our Tournaments & Camps page. Our 80 acre campus is a state-of-the-art sports destination that features 7 outdoor fields and an 86,000 square foot indoor facility with 6 basketball courts and 12 volleyball courts. Come to the Rocky Top Sports World Super Bowl Party in Gatlinburg and find out why we are becoming the most talked about tournament destination in the southeast! This entry was posted in Gatlinburg Sports Events on January 22, 2015 by Jason Fishman.